Part two of my early NBA season previews takes a look at the division I expect to be the least entertaining in the league next year — the Atlantic. The Philadelphia 76ers have become historically bad and the New York Knicks are in year two of the Phil Jackson experiment (also known as “Melo who?”). The Boston Celtics are a fun, harmless team: fun because Brad Stevens is such an excellent coach, harmless because they would be lucky to make a repeat trip to the postseason this coming season. 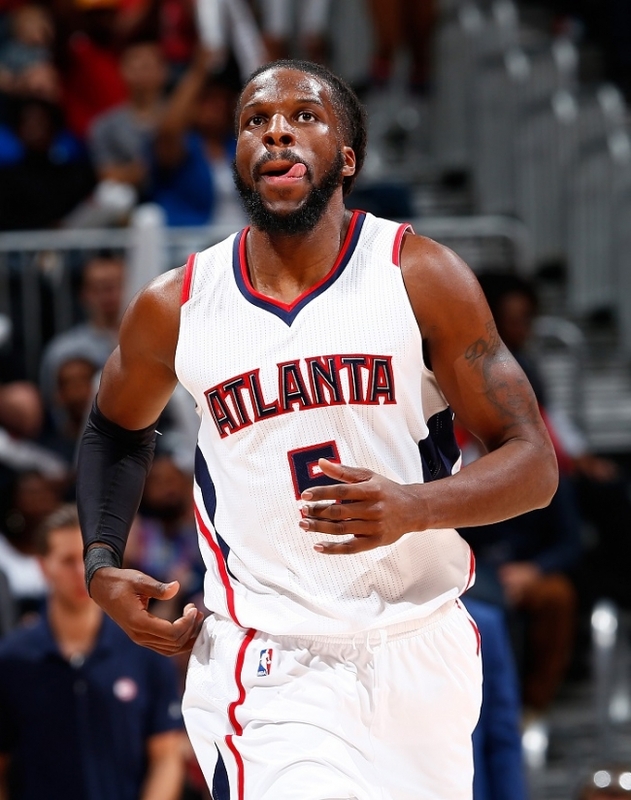 Last year DeMarre Carroll was top five in Effective Field-Goal Percentage, all while playing great defense. The 2014-15 Toronto Raptors were one of the more confusing teams to follow last year. From a physical standpoint, they looked fine, they had a roster of great players, and locker room leader Kyle Lowry was willing to take and make big shots all the way to his first all-star selection. When they won games the Raptors scored around 107 points per and played enough defense to win, when they lost they scored about 99 points a game while allowing opponents to get rhythm shots late in games. Toronto carried this Jekyll and Hyde image all the way into the postseason where they were swept by the Washington Wizards in Round 1 after collecting 49 wins in 2014-15. A regression occurred for the Raps on defense under coach Dwane Casey, as they allowed opponents to shoot an average of 45.9 percent from the field. That is why the off-season addition of Demarre Carroll is so important. Carroll provides another rangy wing defender that Toronto will use to guard the likes of LeBron James. Other additions — Cory Joseph, Bismack Biyombo — stand to further boost a defense that needs to bounce back quickly. The offense will be improved by the presence of Luis Scola, Summer League star Norman Powell and Carroll’s outside shooting (career-high 39.5 % from 3-point range in ’14-15) but in this league you live-and-die with your star players. If DeMar DeRozan can’t improve his putrid field-goal percentages he will continue to hurt his team as a prototypical volume scorer. DeRozan has continued to lack an outside shooting stroke (28% from 3-point land), and if he can’t improve his shot selection he could find himself on the trading block. In their playoff series loss to Washington, Lowry (31% shooting during series) was destroyed by John Wall in the point guard match-up and it pretty much spelled the end for the Raps. Jonas Valanciunas is the key piece in the Raps future plans, the 23-year old has shown flashes of brilliance but needs to add some consistency and aggressiveness to his game. He is a great free-throw shooter who only gets to the line about three or four times a game. If Valanciunas can get a usage-rate spike next season he could take this franchise to new heights. I believe the Toronto Raptors are officially stuck in the dreaded “No Man’s Land” where teams are good, but not great and featuring some talent, but no transcendent star. Because the Atlantic Division is so pitiful the Raptors are pretty much a default pick to win it and that’ll put them somewhere between the three and six seeds in the East. Still, even with the addition of Carroll, it won’t be enough for Toronto to form a challenge for Cleveland, if they make it that far. 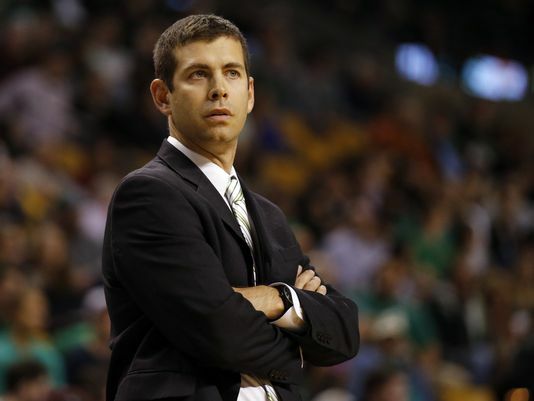 Brad Stevens sets the tone for the Celtics franchise. The ’14-15 Boston Celtics were a team I slept on, I simply wasn’t aware of what was happening in Beantown. In their second-year under wunderkind Brad Stevens, the C’s improved both their offensive and defensive ratings while winning 15 more games than the previous year. They earned a postseason berth that was looked at as a fluke, before legitimately competing with the Cavs for four games. Boston held Cleveland to 46% shooting and after losing the first game of the series by 13 points, they lost by single digits in the three games after that. Nevertheless, Jared Sullinger and Tyler Zeller both allowed opponents to shoot over 50 percent at the rim during the series with Cleveland. Kelly Olynyk is Boston’s other main rotation big man, and he also doesn’t provide much in the way of rim-protection either. Unless Boston can acquire some half-decent rim-protection (Greg Oden anyone?….oh) it will continue to be the weak spot that allows elite teams to beat them. Celtics fans should be very excited moving forward, though, they have a young and innovative coach in Stevens and their oldest player is 32-year-old David Lee. Boston general manager Danny Ainge loves to have roster flexibility and in recent years he has stacked his team with assets in the form of draft picks and young players who haven’t even scratched the surface of their potential. The 2015-16 Boston Celtics will be fun to watch, but barring a big trade, don’t expect too much in the way of wins. The Brooklyn Nets have long had a stake down in no-man’s land. When the organization moved to Brooklyn in 2012 they quickly started to build a roster based on expensive veteran talent. The core of Deron Williams, Joe Johnson, and Brook Lopez didn’t accomplish the lofty goals set by the franchise. Now the team has agreed to a buyout with Williams (Dallas-bound) and plans to continue to build around the aforementioned core minus D-Will. This outlook isn’t as bleak as it seems because Lopez actually played very well in his return to action, especially during the postseason where he raised his game to another level (19 points/ 9 rebounds/ 2 blocks per game). Lopez showed that when healthy he can still dominate the painted area on both offense and defense. 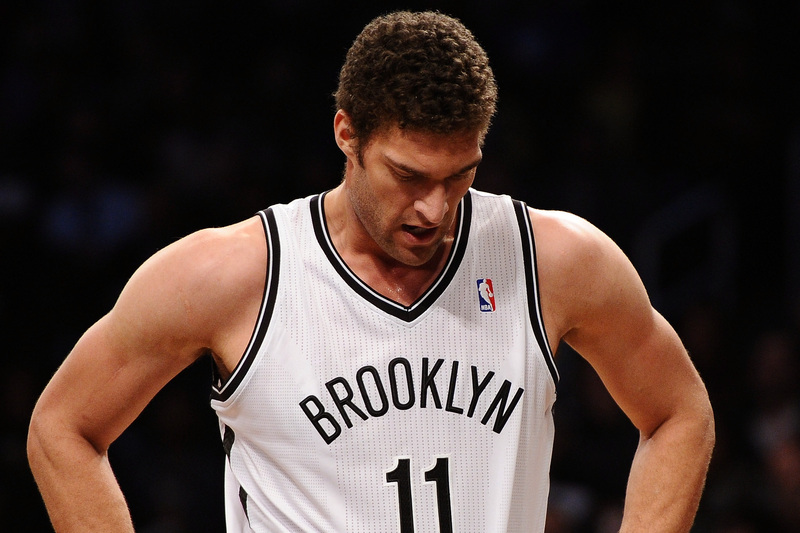 However, the Nets pretty much put themselves in a corner when it came to resigning him. Lopez will be doing a lot of this once he realizes who is in Brooklyn’s guard rotation. As for Johnson, he is not much of a defensive presence at all, but at 34 years old he showed he will continue to put up buckets by scoring 14 points a game last year. More important than the number of points Johnson scores is when he scores them. Johnson continued to demand the ball in late-game situations and he is still one of the best closers in the league, he will need to pass his veteran knowledge on to the rest of the Brooklyn roster, which is extremely wing-heavy and young. If Lopez gets hurt yet again then it will make the acquisition of Andrea Bargnani all the better. But Bargnani is also a well-known fragile player, and that is why the lack of big man depth here scares me. Brooklyn’s forwards start off intriguing with Thaddeus Young and Thomas Robinson, but after that it is pretty much below-replacement level players the rest of the way. Rookie Rondae Hollis-Jefferson will be a much needed infusion of defense-first energy, but I fail to see how this team could average as much as 100 points a game. Jarrett Jack is a great point guard, just not a starting point guard. This team needs a dramatic turnover but no clear avenue to change is on the horizon. It is usually hard for the average person to say something nice about the Knicks in their present state, but honestly team president Phil “O.G. Zenmaster” Jackson is doing a much better job than he is getting credit for. The Knicks are still set to be awful next year, but the pieces are their for them to have long-term growth. As far as on the court action goes, this team starts and ends with Carmelo Anthony. This past season he was shut down after 40 games. But during the 40 games he still did Carmelo things. His rebounding dropped off a bit, but he scored 24 points a game and continued to be an elite inside-outside scoring threat. He made his eighth All-Star game, but was saddled with a Knicks squad that could only win 17 games. With the fourth pick in the 2015 NBA Draft the Knicks took Kristaps Porzingis. Most fans were extremely disappointed because after New York missed out on the top three prospects, they chose to go the international route rather than drafting one of the more well-known U.S prospects. What the average basketball observer was overlooking was the potential of Porzingis to be one of the more impactful members of this draft class. A seven-foot power forward with an extremely lanky body, Porzingis provides an intriguing mixture of outside shooting and height. He gives the Knicks a frontcourt building block for post-Carmelo life. In Summer League, Porzingis showed off a sweet-shooting stroke that impressed Walt “Clyde” Frazier and he even had some moments where he matched up well with Jahlil Okafor. And while not a perfect fit, you can already see where Porzingis will be used in the triangle offense. His playmaking skills leave a lot to be desired as he still misses the open man from time to time. His passing will develop as he gets a better feel for the NBA game, but his shooting will come in handy when coming off of various screens. I can already see him faking a pinch post handoff and pulling up for a midrange jumper. If head coach Derek Fisher loosens the reigns on Porzingis he could develop quicker than expected. The additions of Derrick Williams and Robin Lopez help bolster the frontcourt, though I believe that at $13.5 million a year they made have overpaid a bit for Lopez. At this point in their careers I believe Kyle O’Quinn may have a bit more to provide on the offensive side, which makes the Lopez signing all the more confusing. The signing of Arron Afflalo helps a backcourt that will struggle to defend (Langston Galloway, Jerian Grant, Jose Calderon). In the long run, the young players on this squad could develop nicely. In the short term however, this team does not have the proper pieces to run the triangle successfully and they will continue to be one of the worst teams in the league. You don’t have to fake a smile Jahlil. We know how you feel. Philadelphia 76ers general manager Sam Hinkie has long take the stance that he would draft the best prospect available rather than a player who fits a specific system. 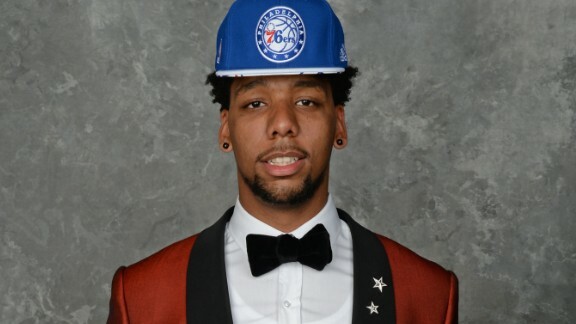 He stayed true to that by taking who many thought would be the top pick in the draft, Jahlil Okafor. Okafor is one of the few NBA players I’ve had the joy of watching play in person at the high school level, and after seeing him play in college and the pros (Summer League) it is easy to see how smoothly his skills have translated. His post game is extremely polished for such a young player, and his footwork is already foolin’ new defenders. Though he figures to be instant offense, his defense/rim-protection still leaves room for improvement. Okafor has never been known as a rim-protector, dating back to when Villanova-bound Jalen Brunson dropped 56 on Okafor’s high school squad, Whitney Young. The 76ers scored about 92 points per game last season, so a low post scoring threat like Okafor really helps shore up the issue of not having a 1st scoring option. The 76ers had the worst offensive rating in the league last year, but they actually made long strides on defense. Their defense rating was just outside the top ten. The defensive presence of Nerlens Noel was enough to bring him into the Rookie of the Year conversation. Coach Brett Brown had his squad gamble for steals often, and it resulted in a whopping 9.62 steals per game. If this team can shore up their defensive fundamentals, while fielding at least a league-average offense, they could sneak up on a few teams next year….only a few though. With Joel Embiid out for another year, Okafor and Noel will have a full season to get used to playing on the floor together. These two big men are actually a great fit because Noel makes up for Okafor’s shortcomings on defense; just as Okafor will provide the scoring punch that Noel isn’t capable of providing (yet). Hinkie has shown that he will continue to build through the draft, but I believe the 76ers are still an elite point guard away from being competitive in the East.